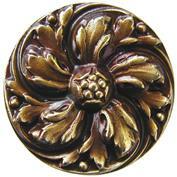 Notting Hill Decorative Hardware creates high-end hardware for cabinets and furniture. 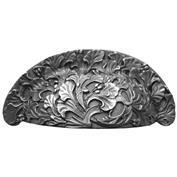 Their artisan line of knobs, pulls, handles, back plates and appliance pulls are hand-cast at a fine arts foundry with exceptional detail and craftsmanship. 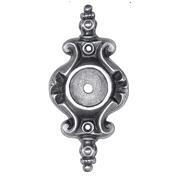 Notting Hill’s decorative kitchen & bath hardware features period-inspired designs. 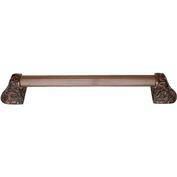 Collections range from Arts & Crafts to Victorian. They also offer Classical, Nouveau, Romantic, Rustic Lodge, Tropical, Beach and Whimsical Eclectic Styles. Beginning in 1996, they embraced their motto, “The Beauty Is In The Details”. Notting Hill’s unique designs are cast with rich, intricate relief and hand-finished to highlight the beauty of each piece. Hardware finish options include Pewter, Brass, Copper, Dark Brass, Nickel and 24K Gold. Select pieces are further embellished with enamel, hand-painting, crystals and semi-precious stones. From the original 12 knobs to more than 200 current offerings, Notting Hill continues to embody the finest in decorative hardware. Notting Hill has always been proudly MADE IN THE USA.